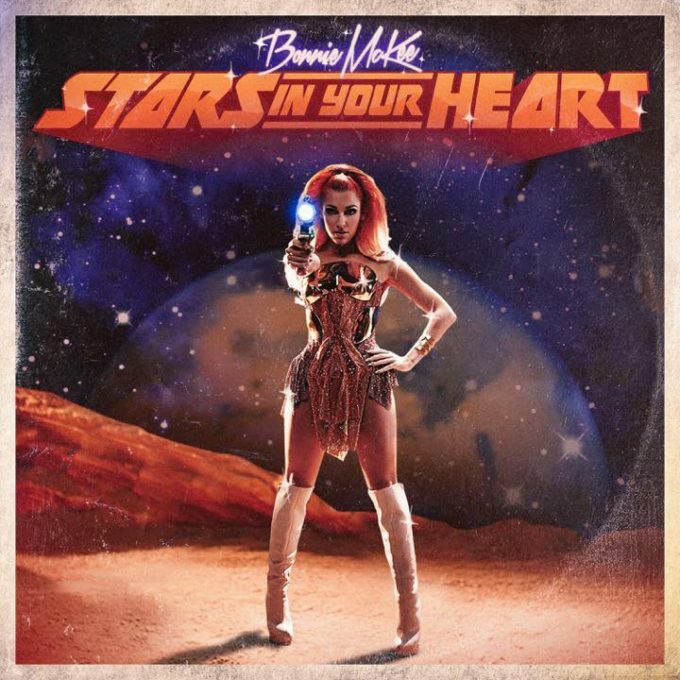 Fans of Deconstruction era Kylie might find some of the imagery in Bonnie McKee’s ‘Stars In Your Heart’ video slightly familiar. That’s because, just like Kylie in her video for ‘Put Yourself In My Place’, Bonnie here is also taking inspiration from Jane Fonda’s striptease in the classic movie ‘Barbarella’. Though here, she plays it a little truer to the original. There’s plenty to like about the clip. While it’s a studio-based piece, the costumes (when she’s wearing them) and the set-ups suggest there was a bit of cash splashed on it. That doesn’t go for the costume later on in proceedings, however, as there is none; Bonnie stripping to absolutely nothing, as she gives her male counterpart a little more than merely the stars in her heart.